Among the military operations in the history of the Soviet military, the Bagration operation, which was carried out to free the territory of Belarus from German occupation, occupies a special place. 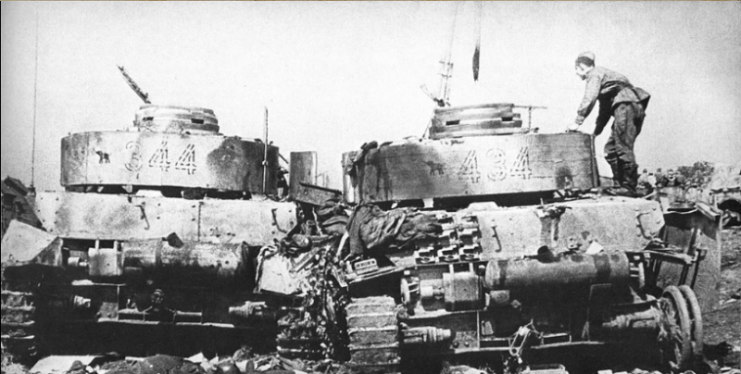 The operation was carried out from June 23 to August 29, 1944, and was divided into 2 separate offensive stages. 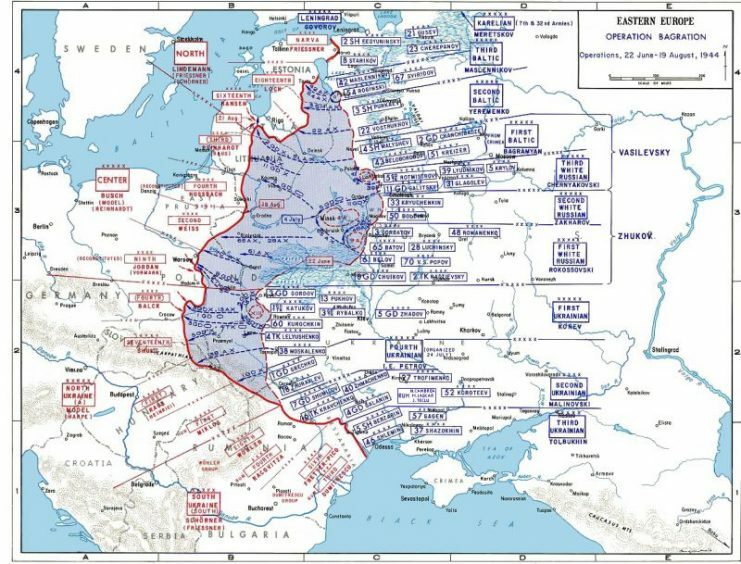 The territory of Belarus was of strategic interest to the Germans, and their forces there consisted of 63 divisions, including 3 tank divisions, 2 motorized divisions, the 6th Air Fleet, and 3 brigades. Their equipment numbered more than 9,500 guns and mortars, 900 tanks and assault guns, and 1,342 combat aircraft. 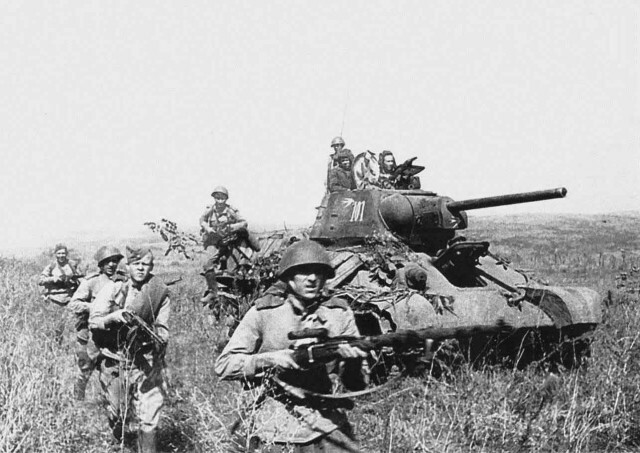 The Soviet side attracted the forces of the 1st, 2nd and 3rd Byelorussian and 1st Baltic fronts, with a total strength of 1.3-1.6 million men, and equipment exceeding 5,300 combat aircraft, 5,800 tanks, and 33,000 guns, mortars and self-propelled artillery. By the end of the operation, the numbers of both people and military equipment involved increased significantly. 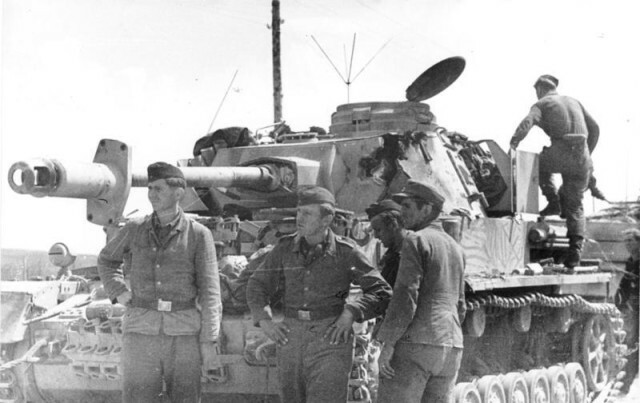 The situation in Belarus initially did not seriously concern the German command. The area was mostly wooded and marshy with a large number of rivers and lakes and a poorly developed road network. 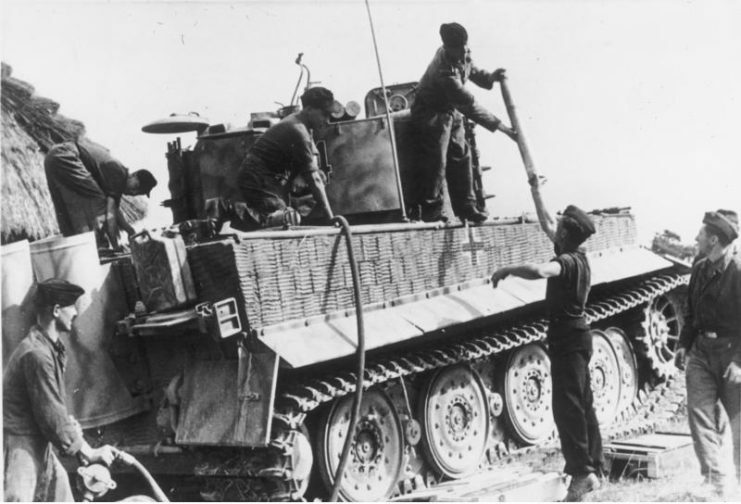 The use of tanks and mechanized vehicles in this territory was difficult. Knowing this, the Wehrmacht expected that any attack would come from the direction of Ukraine and concentrated considerable force in that direction. During the occupation of Belarus, German troops created a well-developed defense system, reinforcing their positions with dugouts and bunkers. 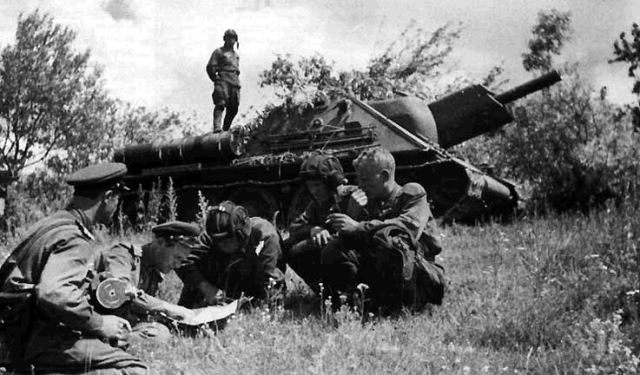 However, Soviet leadership took into account the negative experiences of the past, and this time they first sent in reconnaissance forces to obtain information. 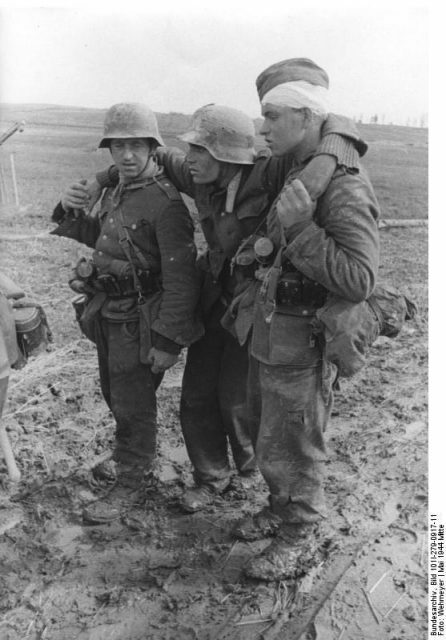 Detachments of partisans also provided welcome assistance. 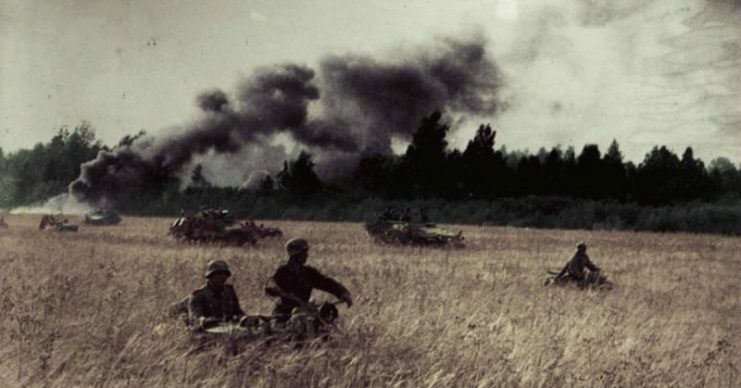 When the Bagration operation began, the Red Army used the tactics of concentrated attacks by tank formations, which succeeded and subsequently allowed them to enter the rear of the German troops. The Soviets destroyed the enemy’s communications, blocked the retreat routes, and overran the defense system. 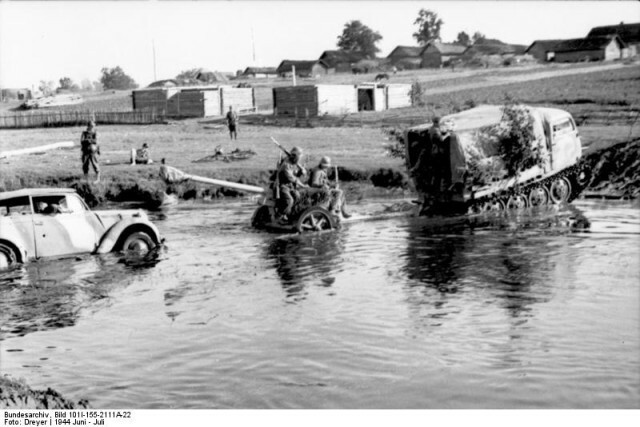 Who would have thought the heavy tanks could overcome the swamps–but the troops fastened “гать,” which were logs or wooden decks, across the swampy areas to form an improvised road. This made the Soviet offensive more unexpected. Raupenschlepper Ost hauls an artillery gun across a river, 1944. One of the most important roles was played by Soviet aviation which, while maintaining dominance in the air, helped ground troops break through the German defenses, conduct reconnaissance, and disorganize the retreat of German troops. The French air regiment Normandie-Niémen provided support for Soviet aviation. Battle of Vilnius. 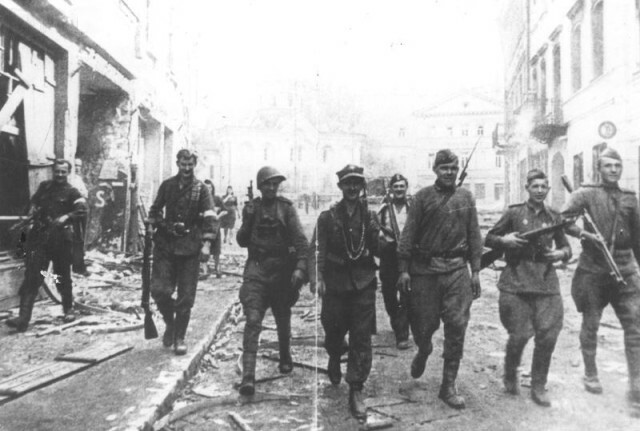 Soviet and Polish Armia Krajowa Soldiers patrolling along the Large Street. The orthodox church of Vilnius is visible in the background. 16 July 1944. Due to the underdeveloped road network and difficult terrain, long columns of German troops were concentrated on two major highways, Rogachevsky and Zhlobin. 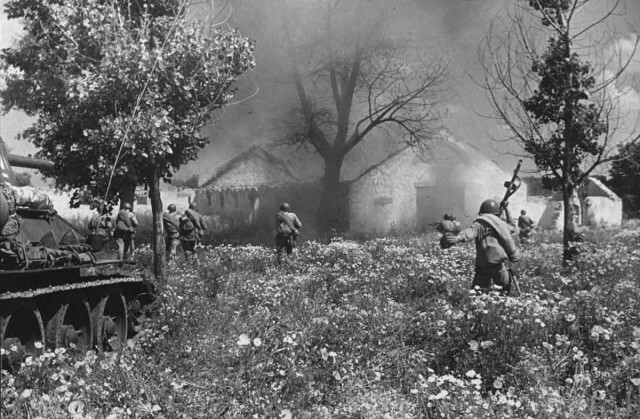 There they were subjected to massive strikes by the 16th Soviet Air Army. 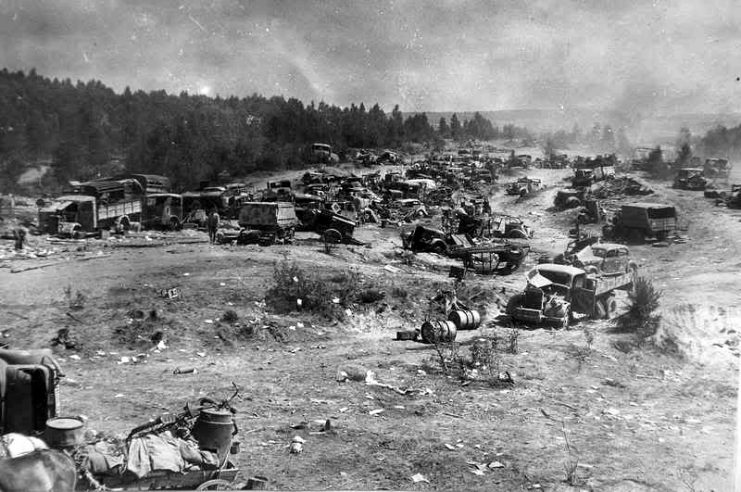 After that, there was a large amount of destroyed German military equipment on the Zhlobin Highway. 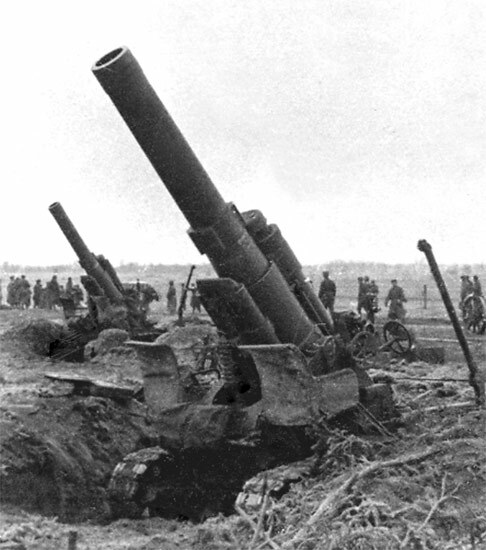 The rapid advance of Soviet military equipment with constant air and artillery support forced the German troops to flee, even against the original order of the Fuhrer. 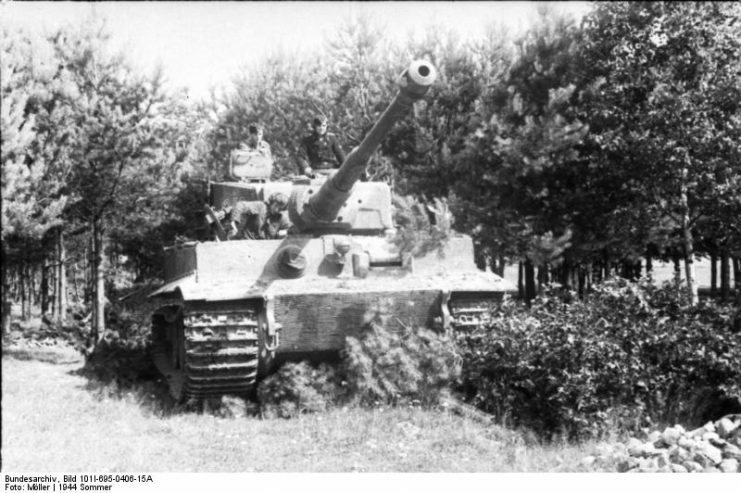 Retreating German troops often fell into an environment called “boilers.” The biggest boilers were formed near Vitebsk, Bobruisk, and Minsk. 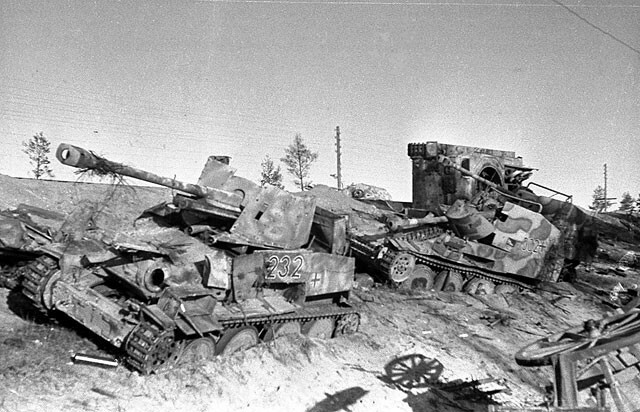 As a result of the two-month offensive, the Bagration operation ended in success for the Soviets, and proved to be a large-scale defeat of the German armed forces. 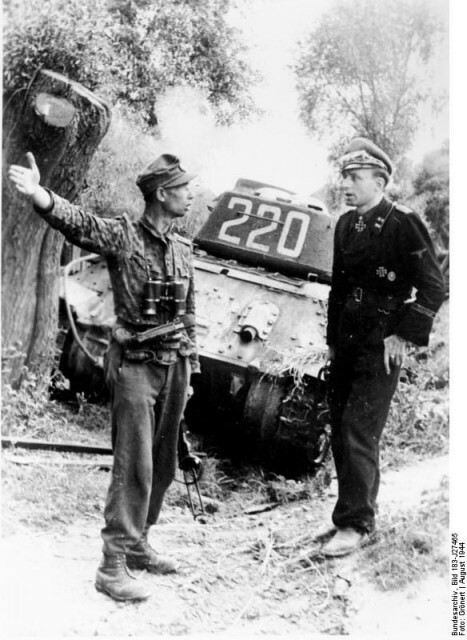 The officers (SS First lieutenant Erwin Meier-Dress) of the SS Division “Totenkopf” on a background of destroyed tanks T-34. 1 August 1944. 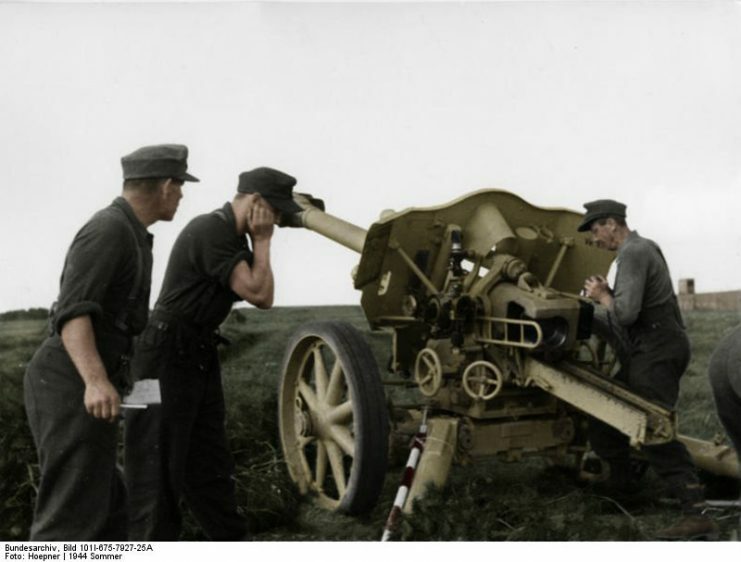 Photo: Bundesarchiv, Bild 183-J27465 / Grönert / CC-BY-SA 3.0. 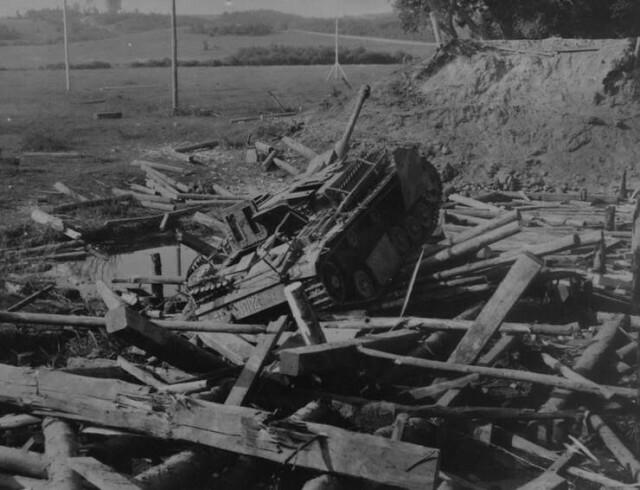 German StuG destroyed while driving across the bridge over Basya river. Attacked by Il-2. 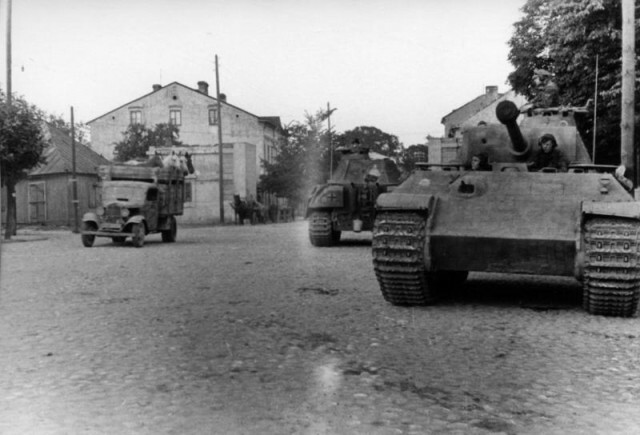 Mogilev, 22-28 June, 1944. 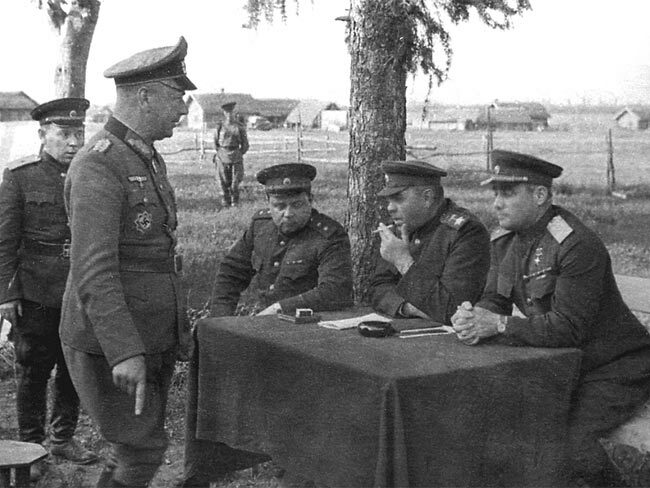 Public interrogation of the German Major-General Alfons Hitter by Marshal of the Soviet Union Aleksandr Vasilevsky and Field Marshal Ivan Chernyakhovsky after the battle of Vitebsk during Operation Bagration. 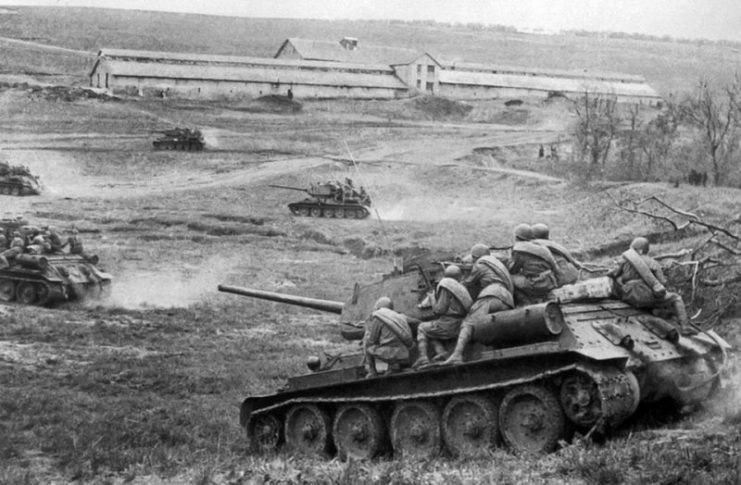 Soviet infantry advance alongside T-34 tanks. Summer 1944. 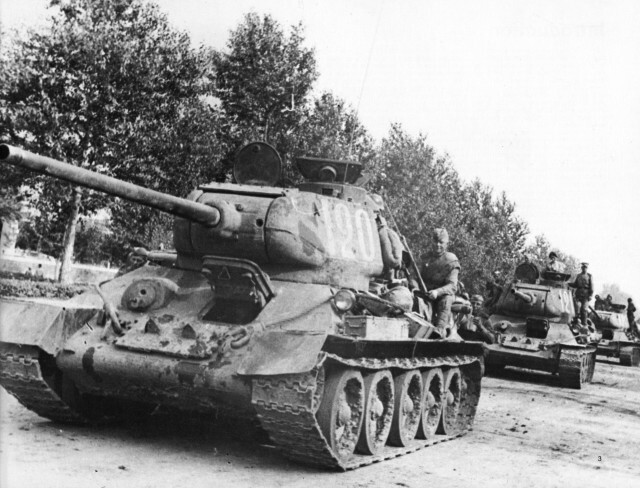 A column of Soviet T-34. 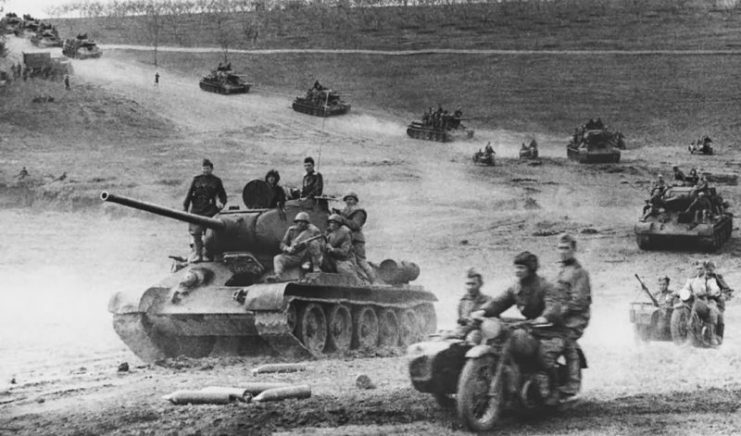 A column of Soviet Troops including several T-34s. 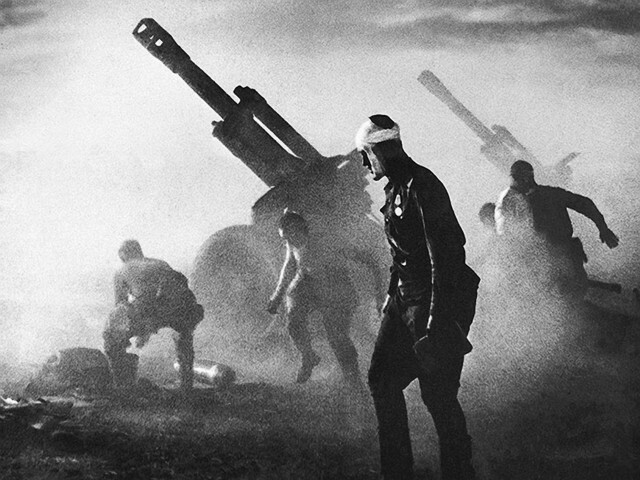 152mm Howitzer battery fires during Operation Bagration, 1944. 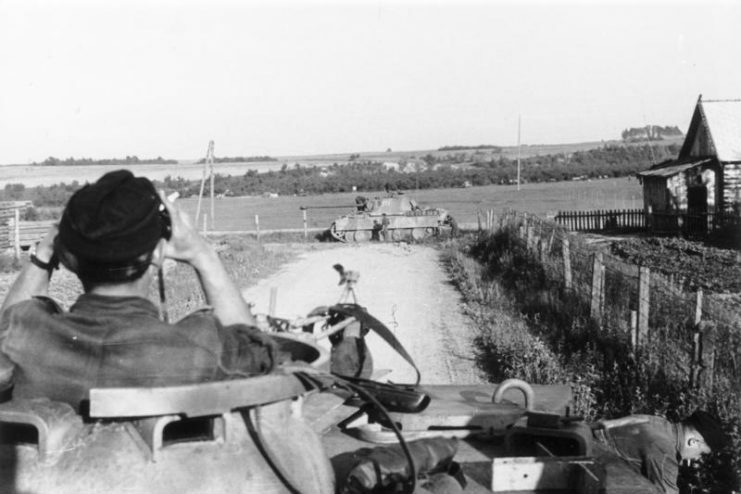 German Troops on the move during Operation Bagration. 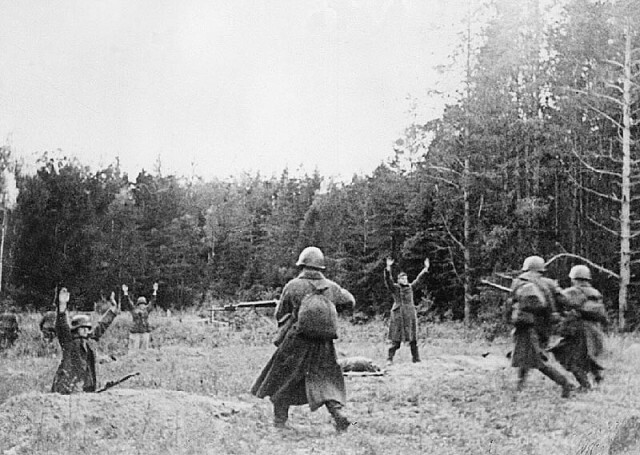 German soldiers surrender to the advancing Red Army, 1944. German convoy under attack Il-2 near Vitebsk. 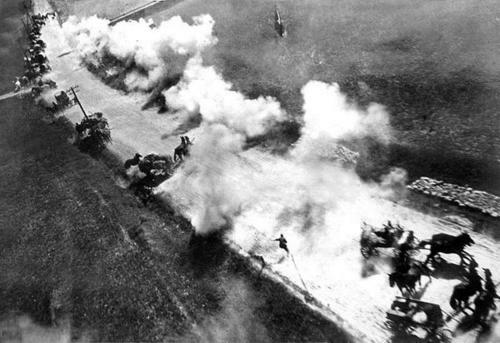 Because of the absence of the Luftwaffe, such convoys were helpless. 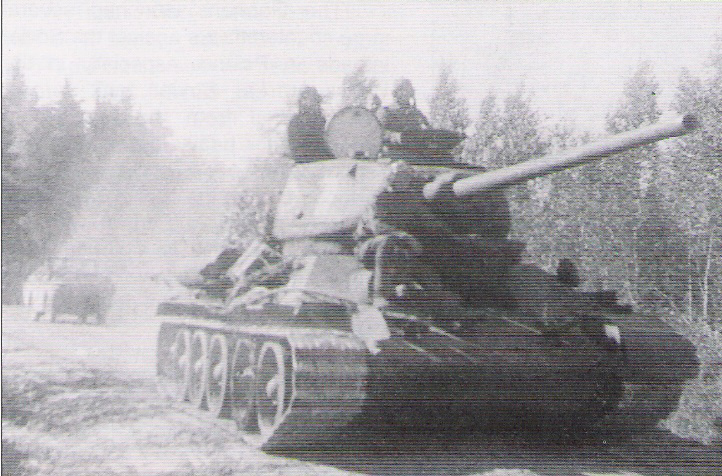 Soviet infantry supported by tanks T-34 is fighting for one of the settlements in the direction of Lviv. 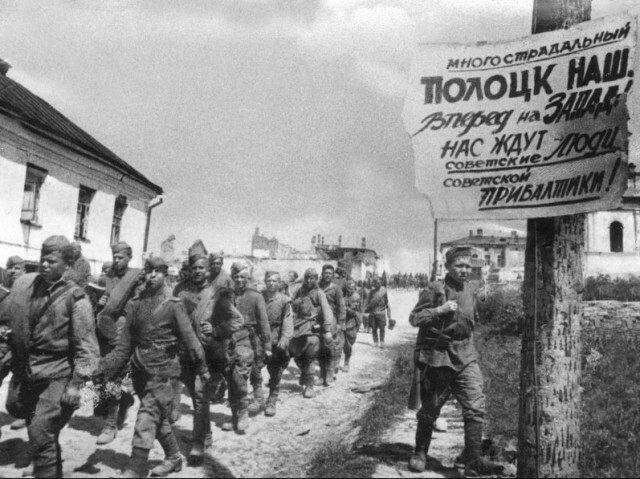 Soviet soldiers in Polotsk, Belarus. Propaganda poster celebrating the reconquest of the city and urging the liberation of the Baltic from Nazi German occupation. 4 July 1944. 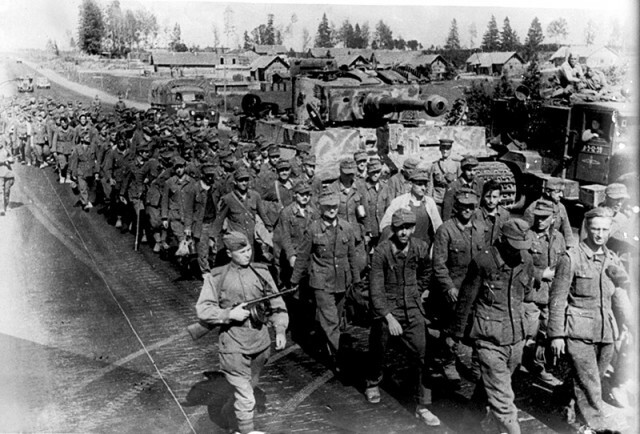 German POWs after the liberation of Minsk, Operation Bagration, 1944. 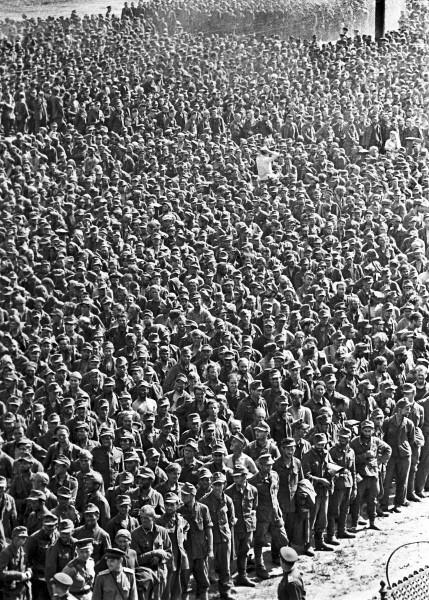 German prisoners of war in Moscow. 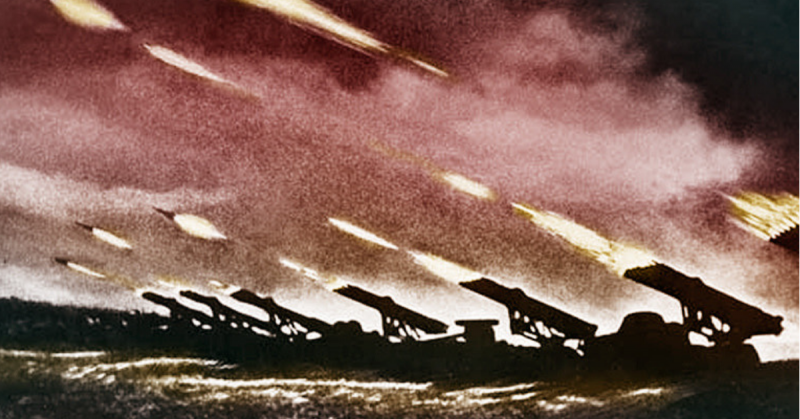 15 July 1944. Photo: RIAN. 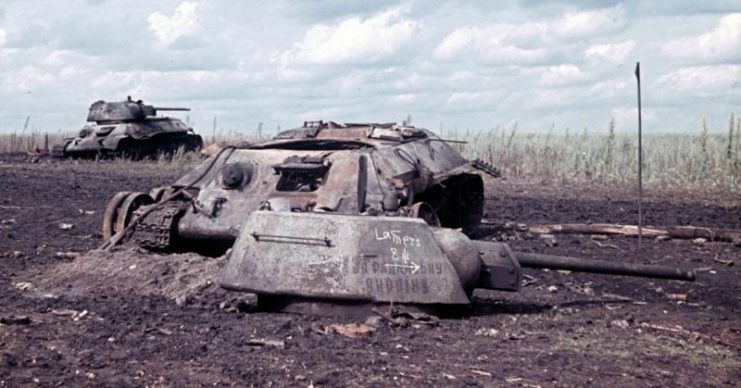 Destroyed Armor and Vehicles from Operation Bagration littered the countryside. 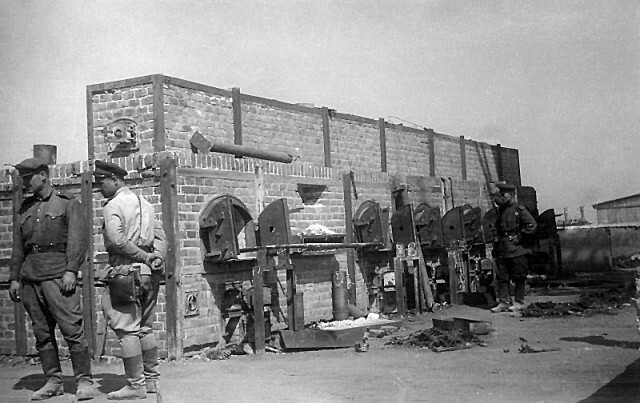 Soviet soldiers and the ovens in the concentration camp. 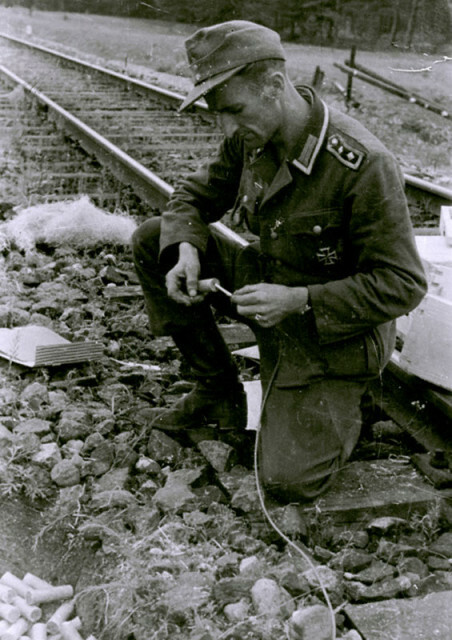 Majdanek, 1944.